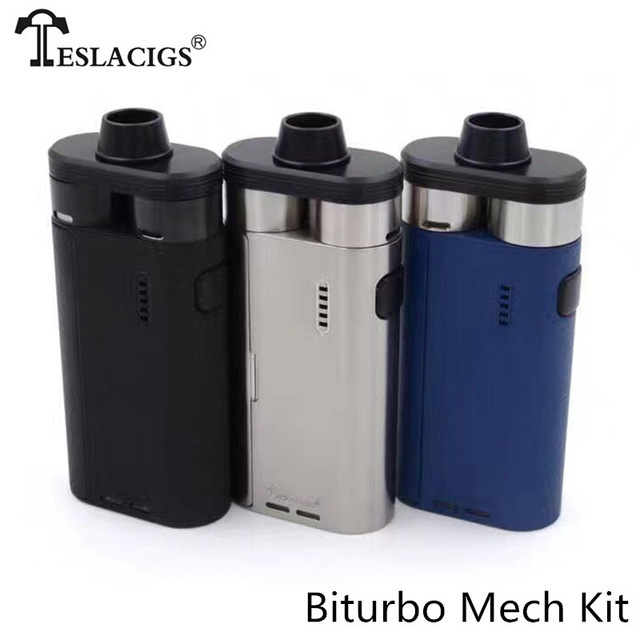 Here comes the Tesla Biturbo Mech Kit. This awesome little device powers 2 separate RDAs with just one mouth piece at the top. Vapors can enjoy two flavors of e-liquid while vaping, giving a complex and unique taste experience. 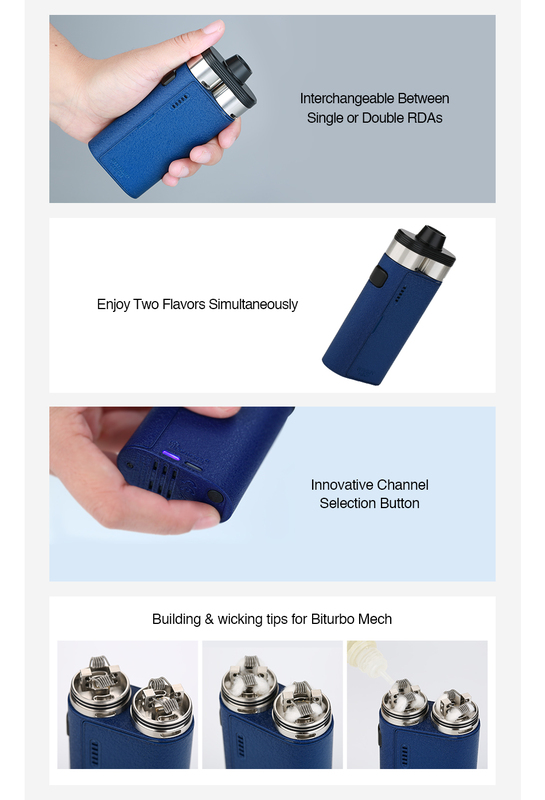 The device is equipped with buttons for channel selection at the bottom, allowing vapors to choose between single RDA or double RDAs. The dual LED lights show the channel controlling super clearly too. 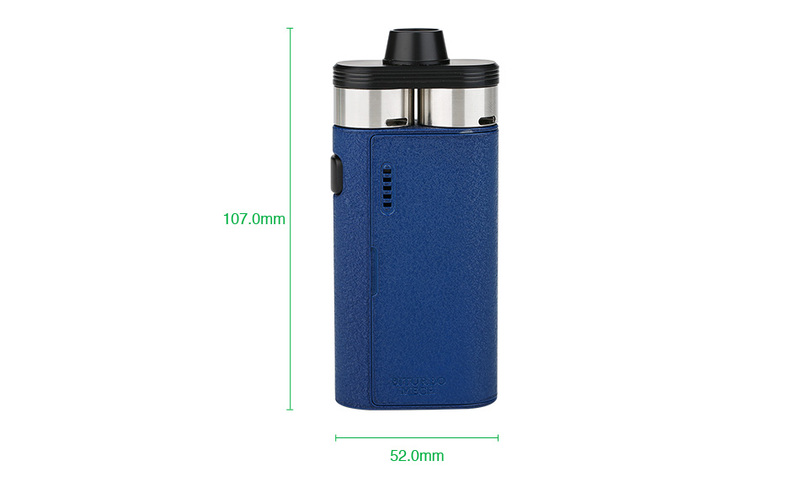 It also features a wide bore drip tip, adjustable airflow control system, huge clouds production and various protections. All of these are designed to provide you with an optimal vaping experience.